We all come from different bands, mainly death metal bands and punk bands. So we’ve been in the scene for many years since the ’90s. I released my first demo with my first death metal band in 1991 or something. I also released four albums for a death metal band called Dominus back in the day. My song writing was kind of changing. It turned into be a little bit more rock songs. It seemed like all the inspiration that I had from my parents when they were playing their records from the ’50s got to me in a way that when I was writing, I wanted to include that ’50s feeling in my song writing. That came very naturally. But I just wanted to keep a distorted sound from the guitars and the pounding drums. 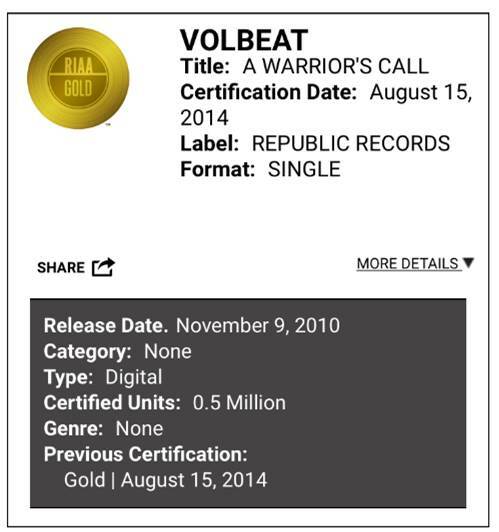 Volbeat started to break into the U.S market in 2010 on the back of their “Death Magnetic” opening slot. But the journey to fame/success or world-wide recognition started a long time ago. Almost 20 years before their U.S breakthrough. It started in a totally different scene and in a different continent. A million bands will start-up today, however a very small amount will stick it out and become lifers in the game of music. And from the lifers who stick it out, an even smaller amount will end up rising above the noise and get some recognition. And even a smaller amount will make some serious money from it. It turned into a very unique thing where we combined a lot of different styles. We kept the distorted sound, but you could definitely hear inspiration from a lot of the rock music of the ’50s, as well heavier music from the ’70s and ’80s. When you mix all that together, it becomes Volbeat. We never really branded the band in a certain style or direction. It was all about just playing. I think that led us to being who we are today. For us, it’s not important to be 100% metal or 100% rock ‘n’ roll or anything. It’s music, and we’re inspired by so many different styles and bands. You can hear that in the Volbeat music. To take what came before as influence and use it to create something that is different. And the borrowing from different eras and cultural appropriation is what music is all about. I also like how it’s seen as “Volbeat’s music” and not some term that came from a record label rep or a magazine editor. For those that don’t know, record companies (in most cases) came up with the terms that bands got labelled with. 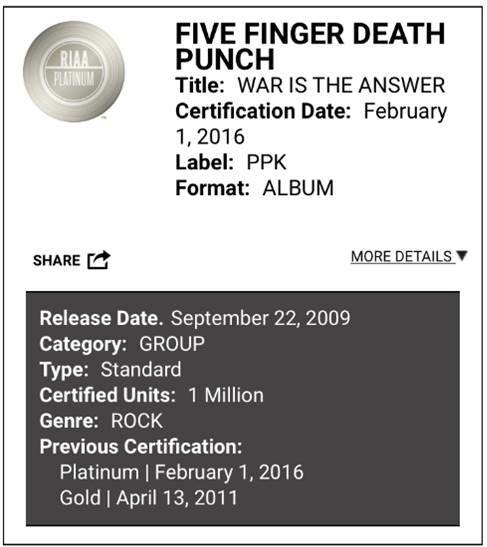 For example, Nikki Sixx is very vocal on Twitter about how “a record company came up with the derogatory term “hair metal” so they could sell new metal rock to a new generation. A lot of metal histories try to track back the movement of heavy metal to a single artist. In most cases they pick the artist who had the most success. However like any popular invention, it is a combination of many little things. The first Apple Mac didn’t just come from nowhere without any influences. It was an amalgamation of products from other companies with some new additions and interface tweaks courtesy of Wozniack and Jobs. And music is no different. Music is a combination of influences with a few little tweaks here and there. When you look at metal history, you don’t see a lot of black musicians listed there as influences, yet the whole metal movement was heavily reliant on the blues in those early formative days. Black Sabbath, the band seen as the first metal band, covered blues songs as Earth. But when you look at the written history of Black Sabbath, the writers talk about the blues of white musicians as influences to Sabbath. They talk about the influence of classical music to Black Sabbath which again is mainly written by white people. The Beatles played Blues, Soul, Motown and Rock and Roll covers in their early days, made up predominantly of black artists. So did Black Sabbath. Hell, the Beatles even took a Chuck Berry song and called it “Come Together”. Robert Johnson is cited as a large influence to Keith Richards who was introduced to his music by Brian Jones. Eric Clapton worshipped at the altar of Johnson and many years later, re-recorded all of Johnson’s classics. Howlin Wolf had a lot of songs covered by many white artists across many different genres. We were sacrificing a lot of stuff in the beginning like jobs, education, girlfriends. Being away from family. And it was just to dedicate ourselves to the road and all the hard work there is to be an active band, to survive. We’re from that generation where we built everything up. There was no internet, no mobiles. It was old-school and I’m very proud of that. That could be part of why we’re still around. We earned our stripes. Paying your dues and building up experiences matter. Esepcially when it comes to creativity. The pain of loss manifests itself into art. The happiness of life ends up as a song and so forth. Today, bands are so eager to get the attention, to get the success, before the work. I’m not a fan of that. I think there are too many youngsters who concentrate too much on the success before they actually concentrate on the music. The music is what it’s all about, and it has to come straight from the heart. We started playing in small bars and it was never because we wanted to be a successful band. We just wanted to do something. We wanted to belong somewhere. Friendship, brotherhood. And it just escalated. Somehow we got bigger and bigger, and the success came. So success was never the important thing for us. It came along and of course it feels good now and we do embrace it. But there’s a lot of stuff we don’t do because we still want it to be about the music. There are lot of TV programs in Denmark where we were getting offers to be on every f—–g day. All the commercials. But we turned it all down because it’s not the reason why we started a band. We’re very aware of not overdoing anything that is Volbeat. We want to be on the road, we want to make records and we want to earn the right to be successful. And we did that from the very beginning. So I can only say that too many young bands concentrate on success before they concentrate on the music. They will fail because that’s not what music is all about. We’re living in the social media connection revolution. With so many people connected to each other and everyone building monuments of their lives online, young artists believe success is around the corner. Music is seen as a way to become successful. But if you get in the game with the mindset to be successful over creative, you will not last. Your success is based on your creations. Your success is based on your experiences and your community. It’s easy to license your music to TV shows and Commercials. It’s seen as a way to make easy money for a lot of artists. But then your music turns into a jingle. At least you got paid, right.